This Kurt Adler Hello Kitty Plush Head Stocking is a fun, festive way to add to the holiday decor of any Hello Kitty fan. 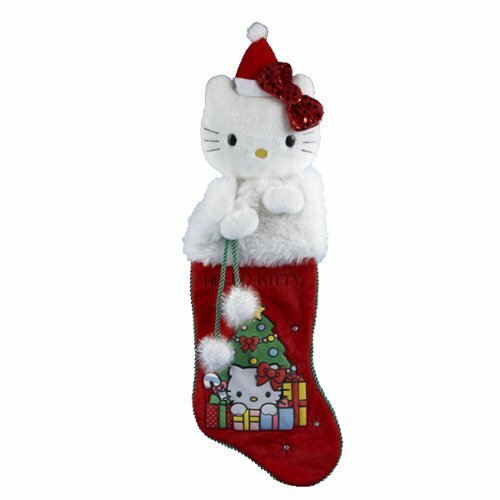 This red, white-trimmed stocking features the words "Hello Kitty" written above an image of Hello Kitty sitting among Christmas presents beneath a Christmas tree. Coming out of the stocking is a plush Hello Kitty head--she is wearing a sequined red bow, and a tiny Santa hat.